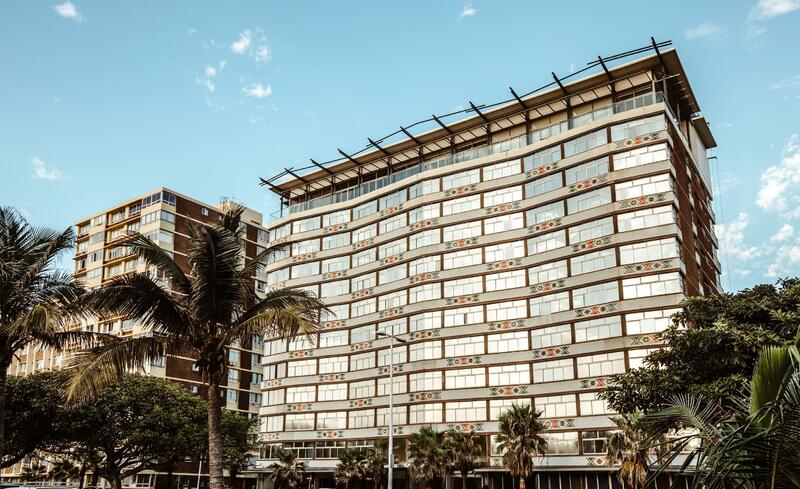 ﻿ Belaire Suites Hotel Durban. JIMAT di Agoda.com! 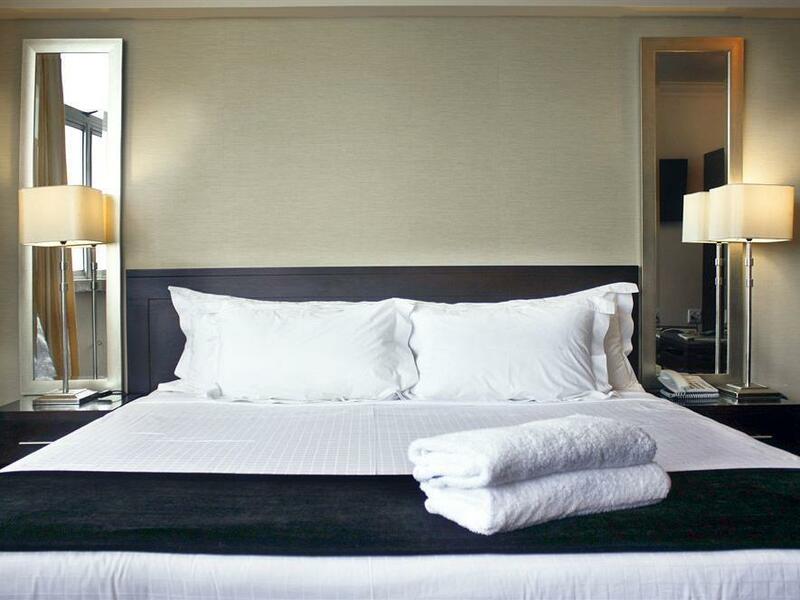 Ada soalan mengenai Belaire Suites Hotel? Terletak pada kedudukan yang baik di kawasan restoran, kasino, pantai di bandar Durban, Belaire Suites Hotel menyediakan tempat yang paling sesuai untuk anda berehat seketika dari kesibukan hari anda. Pusat bandar hanya 2.00 Km jauhnya dan boleh sampai ke lapangan terbang dalam tempoh 30 minit. Penginapan ini berada di sekitar kawasan tarikan bandar yang popular seperti Minitown, Mini Town, Suncoast Casino & Entertainment World. Di Belaire Suites Hotel, segala usaha dilakukan untuk membuatkan tetamu berasa selesa. Oleh yang demikian, penginapan ini menyediakan perkhidmatan dan kemudahan yang terbaik. Pilihan kemudahan kelas atasan seperti Wi-Fi percuma semua bilik, dobi layan diri, pengawal keselamatan 24 jam, meja depan 24 jam, fasiliti tetamu kurang upaya boleh dinikmati di hotel. Belaire Suites Hotel mengandungi 127 bilik yang dihias indah dan menawarkan televisyen skrin rata, internet wayarles, bilik larangan merokok, penyaman udara, panggilan kejut. Padang golf (dalam jarak 3 km) , spa di hotel merupakan tempat yang ideal untuk anda relaks dan tenangkan diri selepas hari yang sibuk. 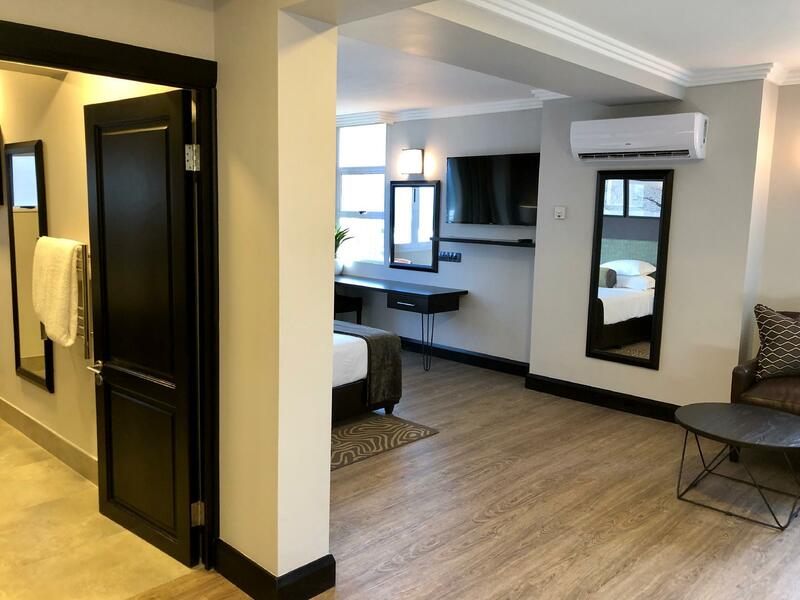 Belaire Suites Hotel merupakan tempat yang ideal bagi penginapan pelancong yang mencari keindahan, keselesaan dan kemudahan di Durban. It was another wonderful stay at the hotel. Thank you to the wonderful staff for sorting our room out and organizing our parking. Primrose is a superstar! Cafe Jiran did fabulous cappuccino's and the food was very tasty. Breakfast was great on the 11th floor with sweeping views of the sea. Hotel is clean, staff very friendly, breakfast excellent and the restaurant has stunning views of the beach. No pool at the hotel but you are allowed to use the pool at Blue Waters Hotel about 100 m away. Will definitely visit again. great hotel, friendly staff and excellent food. Perfect location! Our room floor was not clean. We had to put powder on the floor day 2 to make sure she would clean. I did ask for a wheelchair unit, but got a shower unit, which was not bad, but my mom could not get out of the shower, as the step was too high, and not any place to hold on to. Breakfast great, and we cannot wait to come back. I think that needs to be address is cleaning staff that use cellphone in the lifts while there are guests. It looks unprofessional. I makes a person as if she does not respect her work. Service was great, friendly and very obliging team. Laundry price also very reasonable. . There are a few stairs to climb down and then up from the parking area to the lifts. I wasn't expecting that but if you park outside you can avoid these. From checking in it was a great experience. The staff was very friendly and accommodating. they stored our luggage and phoned us as soon as the room was ready. They went an extra mile to organise outings. The breakfast is to die for. This was really a great experience. Excellent place, perfect for a getaway. The cleanliness and the breakfast and honesty of staff stands out for me. On the 30th January I forgot my cellphone when checking out and only realized very late that my cellphone is missing, but the following day when I called to enquire they confirmed they found my cellphone. I'm grateful and impressed by the Belaire housekeeper who was working on the 29-30 January, including Nokwazi (receptionist) who helped me to locate my cellphone. Belaire Suites is the best :-). The location is very good but they need to train their reception staff because they are the face of the hotel they can't be talking with their friends on the hotel phone and have us clients waiting that's a big no, and if you n phone them from your room needing assistance they need to escalate your problem to the relevant department as soon as possible. 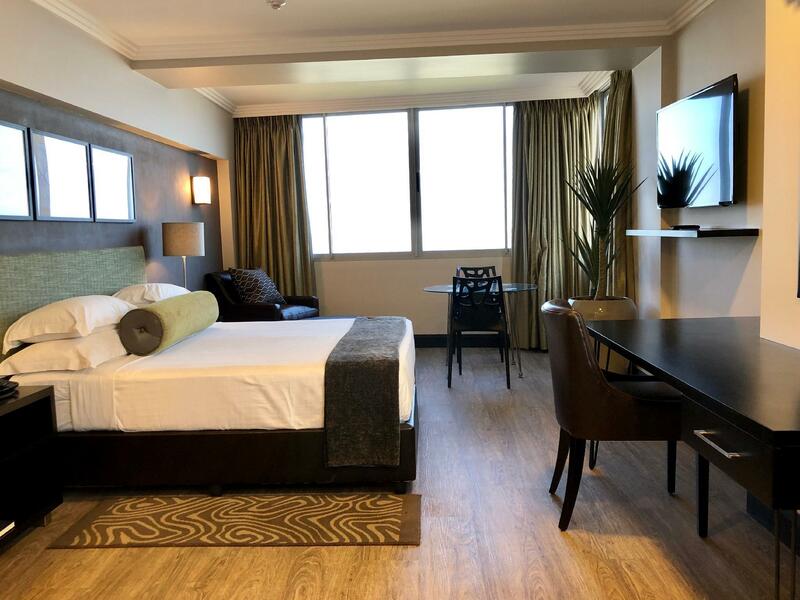 We always book at Belair since 2016 whenever in Durban for a holiday. However this pass trip was not like before experiences. No parkings for your car. We get told it fully book upon check it,at 8pm the parkings we empty until the morning at 7 am when we checked out. Breakfast is always good however we book for two adults but when we got to the breakfast area we get told its only for one and we need to pay additional amount but the confirmation on agoda states two. We stayed at Belaire during the tourism Indaba 2018. The staff were extremely welcoming and accommodating. We were very early and our room was not ready, so they whisked us off to a lounge area for some complimentary coffee and snacks. They also held our bags and took them up to our room for us while we went out. The breakfast is DELICIOUS, better than other hotels we've stayed at in the area for twice the price, and the dining room view is fabulous. All in all well worth it! Friendly staff. The bathroom in my room was too small and the shower blocked but it was fixed a day after reported. The blockage created scum on the shower floor and wall but was never properly cleaned. What a lovely stay I had at Belaire Suite Hotel! The staff was so helpful and friendly from the moment we got there. The breakfast was absolutely fantastic, with such a wide spread! And the view from the room and from the sky lounge was incredible! Although I didn't run Comrades myself, the extra attention given to the runners by doing a super early breakfast, delivering energade with an inspirational message as well as some arnica gel was the cherry on top! On top of that the hotel had signs up everywhere on Saturday afternoon / night asking guests to be quiet as there are runners trying to sleep. Fantastic! I'll be back for sure! Thank you for a lovely stay! Other than for one staff in the Kitchen during breakfast on Saturday, 09 June, who when we asked for coffee she told us to go and fetch it ourselves, almost all staff were excellent (from arrival to departure).